France-based global video game publisher and developer Ubisoft confirmed that pre-orders for next-gen editions of popular games – such as ‘Assassin’s Creed 4: Black Flag’ and ‘Watch Dogs’ – are performing better than their current-gen versions. According to the company’s European boss, the figures in question show a faster transition to next-gen consoles – Xbox One and PlayStation 4 – than the publisher initially expected. Corre said, “The fans are really excited to get their hands on the new technology. It has been eight years without a home console from Sony or Microsoft so we feel a lot of excitement from our fans for Watch Dogs or Assassin’s Creed IV. The pre-orders we are getting are much bigger on our next-gen games.” He went on to say that the upcoming consoles will attract gamers who may have dropped off because of the long reign of the current consoles. Corre stated that there are many good quality products at launch for each console and that they will bring back a lot of reluctant gamers, but will also engage new consumers to spend their free time on interactive entertainment. Before Corre, Yves Guillemot made some similar comments in July 2013, stating that pre-order figures for the Xbox One and PS4 were surpassing those for the PS3 and Xbox 360. 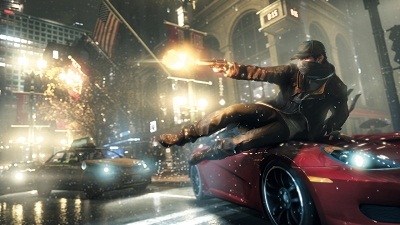 Guillemot announced that Ubisoft’s software was performing well and that they expect positive growth in 2014. For the time being, the company’s next-gen line-up includes ‘Assassin’s Creed 4: Black Flag’, ‘The Crew’, ‘The Division’ and ‘Watch Dogs’.